Police say they were generally happy with the behaviour of the crowds of Canberrans who celebrated the New Year in Canberra last night. 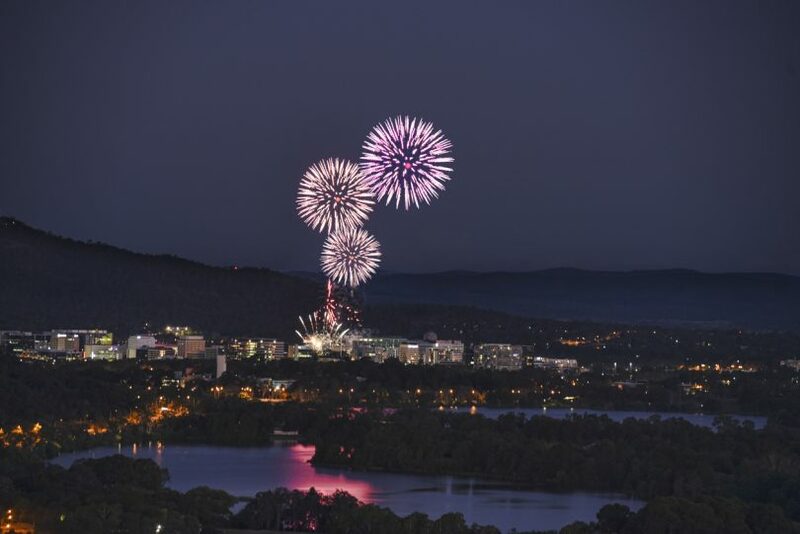 Fireworks lit up the skies last night as Canberrans ushered in 2019 with ‘well-behaved’ celebrations. Police say they were generally happy with the behaviour of the estimated crowd of more than 20,000 people who enjoyed festivities in Civic Square and surrounding areas last night. Alcohol seems to have been the main problem with ACT Policing saying that 15 people were lodged through the ACT Watch House – and were mainly held for their own safety due to their level of intoxication. According to police, a small number were charged with minor offences including assault. Police also apprehended 13 young people who were taken to the dedicated Youth Reception Centre. All were referred for alcohol diversions and released into the custody of parents or carers. The Civic Square New Year’s Eve event was an alcohol-free, glass-free and drone-free event but it seems that some drone-owners chose to ignore the message. Police state that two drones operating within the declared ‘no-fly-zone’ were identified, with their operators located. Police plan to refer information regarding the incidents to the Civil Aviation Safety Authority for action. Last night’s crowds enjoyed a strong line-up of entertainment, with the live music featuring leading performer ‘PACES’. Fireworks Australia put on some impressive fireworks displays with the highlight being an ‘eight-inch shell’ which soared to a height of 1000 feet and exploded in a radius of 300 metres. While Civic Square drew the biggest crowds, Canberrans enjoyed New Year’s celebrations at a wide variety of venues and locations around the city. Police say they maintained a highly visible presence throughout the evening with their key focus being to enforce alcohol-free zones and stop alcohol-related violence. They are reminding Canberrans to consider their alcohol intake from last night before driving today – stating that it is not unusual for a person to still be under the influence of alcohol hours after consuming their last drink.